I expected Avalanche Studios’ new sci-fi sandbox shooter to win me over immediately. 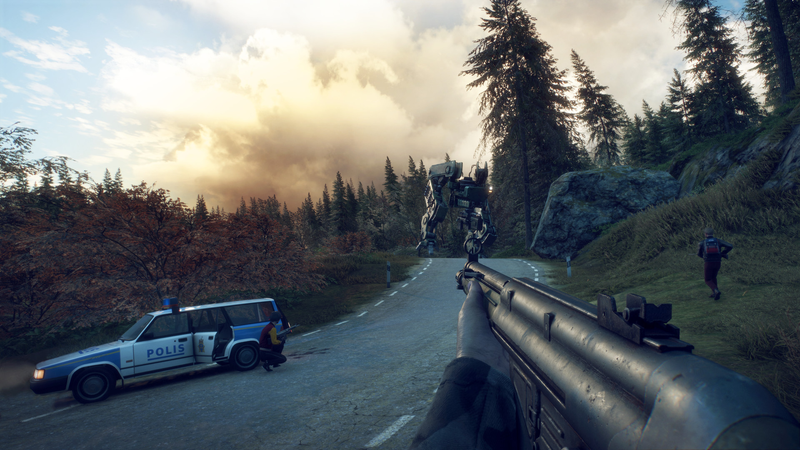 Set in Sweden in the ’80s after mysterious circumstances cause the nation’s robotic defense force to go haywire, Generation Zero’s setup seemed algorithmically designed to appeal directly to me. Unfortunately, it was all downhill from there. In the few hours I’ve spent with Generation Zero, which comes out today on PS4, Xbox One, and PC, the promise of its alternate history premise still occasionally came through. Its pastoral vistas dotted with futuristic mechs evoked an exciting clash of the mundane and extraordinary. Moments of frantic, synthesizer-induced panic when one of the mechs finally discovers you offered some of the stakes of a great horror game. But almost everything else falls flat. Canine-like mechs are patrolling the area. It’s possible to fight them or to sneak away, both of which will earn experience points used to build out a small skill tree of stats like aim, stamina, and so on. Unfortunately, you can’t loot the mechs if you sneak away from them, and they have a penchant for seeing, and shooting, through walls, making stealth strategies feel both unpredictable and unrewarding. Boomboxes are littered throughout Generation Zero’s world because it’s the 80s. At first I thought they were audio logs and that collecting them would help shed some light on what had happened to cause everyone to flee. Instead, these boomboxes can act as decoys. In theory, you turn them on and chuck them away from yourself in order to lure the mechs away from wherever you’re trying to go. In practice, it only takes two seconds after blasting some tunes before I get surrounded by deadly robots who then proceed to tear me to shreds. When playing alone, encounters like this can be difficult to survive, and even if you do survive, it usually ends up costing too much ammo. Play as part of a group and the game becomes too easy, losing any sense of dread and mystery that made exploration interesting in the first place. When Generation Zero’s trailer was released last summer, people compared its look to the artwork of Simon Stålenhag, which takes scenes of provincial life in ’80s Scandinavia and makes them look spectacular, and in some cases unsettling, by sprinkling in futuristic technology and even aliens. When you’re not fighting mechs, the game feels more like a walking sim with light role-playing game elements, and in those moments, Generation Zero channels that Stålenhag-esque energy into its mysterious sandbox with secrets ripe for the uncovering. Even if you shove the baggage of this stripped down multiplayer first-person shooter sandbox to the side, Generation Zero still feels more like a hollow shell of Stålenhag’s scenes than a meaty, 3D diorama. The houses you loot all feel cookie-cutter and, contrary to the random bloody handprints on the walls, not like anyone actually ever lived in them. Who in their right mind, even in the ’80s, needed five boomboxes, all playing the same cassettes? The more time you spend in Generation Zero, the more eerie its world begins to feel, but not in a good way.